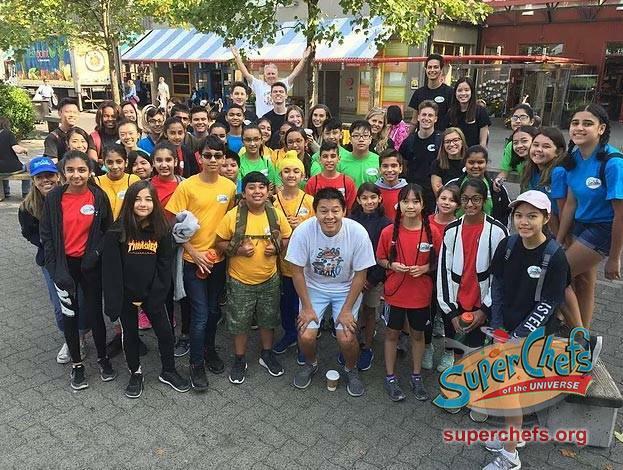 Noting a rise in childhood obesity, Superchefs was created to teach children about balance nutrition and healthy eating. Chang created the non-profit, drawing in past inspirations in his life to inspire youth to live a healthy lifestyle. "I'm a dentist, and more people are excited to see a chef than a dentist," said Chang. "Eating and culinary aspects are passion of mine, so I can combine all of these things with health care. My father was a physician. Health care was always in my background but I combined it with my passion of eating healthy and making a difference by being a role model." 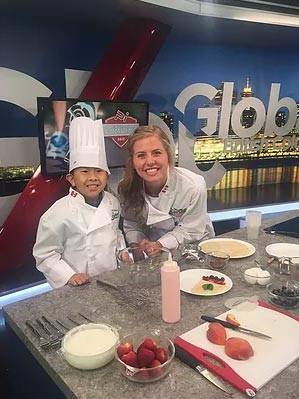 Chang and councillors with Superchefs teach children about nutrition through FACES: Food literacy, Aware of their food systems, Competent in cooking skills, Engaged in physical activity and Savour balanced food choices. One of the goals of Superchefs is to provide this education without a hefty price tag. "We've never charged for these camps for families and kids," he said. "It takes a lot of funding to get it all together." "It's so vital for us to continue giving them the opportunity to make it really accessible. A lot of the kids wouldn’t get the chance to go to summer camp, and there aren’t many culinary camps in general. Downtown Vancouver camps are $500 per week. These donations help with that and for Level Two, we take them on a field trip. We take them to Granville island in a hotel kitchen, so hopefully we can encourage them to go down different avenues." "The more donations we can get, the bigger we can scale it." 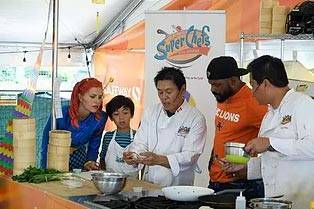 After all the international recognition for Superchefs, Chang’s focus for 2019 is to grow the program locally. "We've done so much in New York and Washington, D.C.," he said. "Moving forward we’ll try on doing more in B.C., specifically with building up our special needs program. "We're looking to continue our programs with Surrey School District, and we will continue amping up the special needs program that was very successful. The parents involved really want it to continue." Despite all the children that have benefitted from the program over the years, there is one forgotten aspect of the program with Dr. Chang is incredibly proud of. "What’' really nice is our councillors that run the program, said Chang. "They're in charge of everything from equipment, communication with parents, and execution of program. I pop in a do a demo once in a while, but I’m seeing them basically run a small business." "Many have gone into medicine, dentistry, business, law, and they bring that experience from Superchefs with them. One of my alumni is working for payroll company downtown, and he recently gave a presentation to his coworkers about healthy eating and giving back." "Yes, were impacting the kids but we're also helping to develop the health care professionals. We try to impact as many different broad areas. Its quite fulfilling to see these young professionals develop." One of his current councillors was on-hand to accept SurreyCares grant to Superchefs at the SurreyCares grant ceremony back in September. "That donation from SurreyCares is incredibly helpful because we don’t do a lot of advertising," said Chang. "We have waiting lists within the Surrey School District. They populate the program. They decide on what schools they want to target. We don’t really need to do a lot of advertising, we’re more well known because of work in the US. We get a lot of PR from that. But it’s also nice that we are getting acknowledgement locally from organizations like SurreyCares." Yes, were impacting the kids but we're also helping to develop the health care professionals. We try to impact as many different broad areas. Its quite fulfilling to see these young professionals develop. Founder Greg Chang is incredibly proud of both children who learn new skills and the young professionals who develop workforce traits while volunteering for his organization.